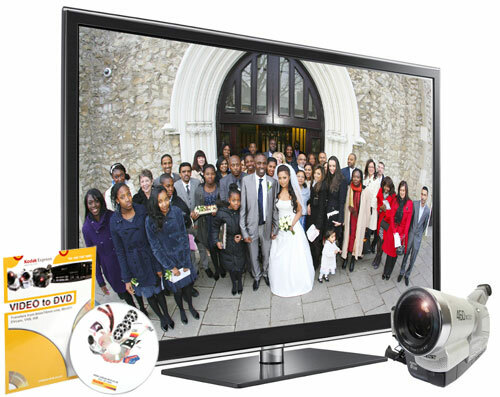 We transfer, copy and convert Video8 camcorder tapes to DVD and Editable File Formats. Video8 (also called Video 8) first made an appearance in 1985 and was a popular format up to the early 1990s when it was superceded by Hi8 video tapes. The size of the tape measures 95x62x15mm, which is about the size of old audio cassettes. We have been transferring Video8 camcorder tapes to DVD and editable AVI computer files tapes for over 20 years using the best equipment and knowledgeable technicians. The turn around time for Video8 transfers is around 10 working days. We also have a 24 hour service at a 50% rush charge. “ Hi John, I've received and checked all the DVDs and the hard drive and everything works fine. You've done an excellent job. I know it was a lot of Video8 camcorder tapes and you've produced a lovely series of DVDs. I will definitely recommend your services. Thanks so much"
If you have Video8 tapes in in NTSC format, they will need to converted to PAL format to play on UK television equipment. Video8 video transfer to DVD costs £20 per tape.